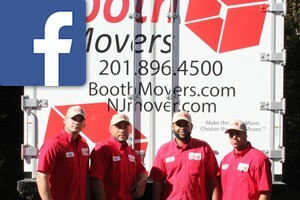 Since the 1940s, Booth Movers has been providing the Bergen County area and beyond with business moving services that are a step above other New Jersey commercial moving companies. Our BBB accreditation and ProMover status demonstrates that professional service and exceptional customer support are top priorities for our New Jersey commercial movers. As a member of the American Moving & Storage Association and the New Jersey Warehousemen & Movers Association, you can rest assured that your commercial move will be handled by the best in the business! As a business owner, it is essential to make sure your relocation goes seamlessly from start to finish. Our expert New Jersey commercial movers will work closely with you throughout the process to minimize your business’s downtime and keep your move on-budget. Booth Movers also offers free, on-site estimates to help you identify the New Jersey commercial moving services that best suit your needs. As a trusted agent for Atlas Van Lines, our New Jersey commercial moving company has the global resources needed to ensure a stress-free relocation process. Whatever the size or scope of your commercial relocation, you can count on our New Jersey commercial moving company to get the job done quickly and efficiently! From full-service packing and crating to home delivery and international relocation, our New Jersey commercial movers do it all! Business Relocation – Whatever the size of your commercial relocation, Booth Movers has customizable New Jersey commercial moving services to suit your needs. Office Moving – Our experienced team will keep your office move on schedule with our expert office moving services. Home Delivery – Our professional New Jersey commercial movers have decades of experience in handling home delivery for our valued commercial clients. Employee Relocation – Let Booth Movers handle your employees' moves as well to make their relocation as seamless as their office's! When it comes to the professional service and quality customer care, Booth Movers is the premier choice in New Jersey commercial moving companies. To find out more about our comprehensive commercial moving services, give us a call or fill out our online form today to request your free, no-obligation estimate!